Cast your mind back to this point around two seasons ago. We had come up from League One. Things were not perfect – Cardiff would come to Elland Road and win 4-0. We looked flimsy defensively, but there was a sense of hope around the club. The period before Christmas would lead to a rise up the table on the back of a long undefeated run. We looked better than we had done for years. To watch moments like our comeback against Burnley, it started to look as though we would storm the division – see the flowing movement culminating with Connolly’s cross and Becchio’s goal. Then January came and nothing happened. Sure, we committed to the permanent signing of Andy O’Brien, but I’m sure Grayson would have ideally wanted to add to our relatively weak central midfield – after all, Howson, Johnson and Kilkenny started a majority of matches and aside from this, no backup was to be found. We had lucked our way into being promoted with two wingers that would eventually play in top leagues in various nations. Our primary striker was (and still is) vastly underrated by the fans. And yet we did not spend. Flash forward to now. Grayson has gone and we have promotion specialist Neil Warnock in charge. Free flowing football does not exist at Elland Road. Well, except in the form of Hull. They’ve all gone. It doesn’t need to be restated, lest depression take over. Our team torn to pieces to fund…something. I’m not sure what exactly. The season began and we looked decent. The first eleven, at the very least, looked decent. Sam Byram appeared out of nowhere and has, through performance and effort and general dawgone ability, turned himself into an asset for the side. But it’s not enough. Is the arrival of Sam Byram any different to the fluky development of Davide Somma, coincidentally loaned out to the right club and manager who taught him how to finish? Is it any different to Adam Clayton appearing out of nowhere and being the shining light of an otherwise average side in the first half of last season? Rodolph Austin has appeared and dominated, a genuine asset. Yes, he’s better than a Grayson signing like Fede Bessone was in his own position. But is Luke Varney better than Simon Grayson’s left wing recruit? He’s a third of the player Gradel was. Grayson brought in our only player left with genuine quality and deftness with the ball, Ross McCormack. Look at Grayson’s Huddersfield thus far. There is no doubt that he has got them playing, despite the loss of their main goal threat. He managed them to a play-off final and brought them out the other side. He is at the very least, doing a ‘good job’. They will probably threaten the playoffs this season. This despite a complete rebuild to get the team playing according to his own principles. Grayson has shown time and time again that he can get a team playing and, given the right investment, challenging. Huddersfield Town will go far. So this all brings us to the question. 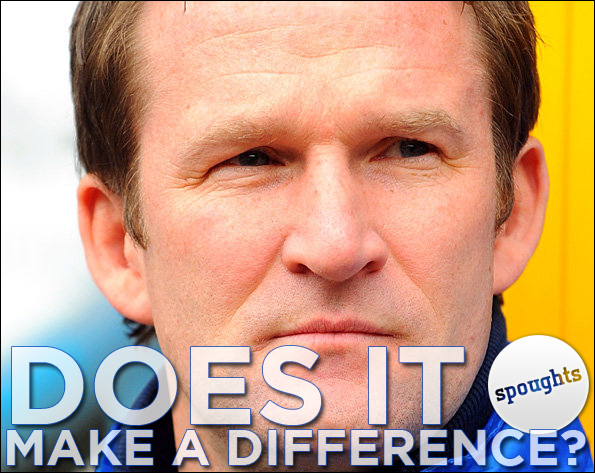 If Simon Grayson were still in charge of Leeds, would we be in any different a position? In reality, no. We wouldn’t have recruited Austin or Kenny, but that is the only genuine negative point I can see. 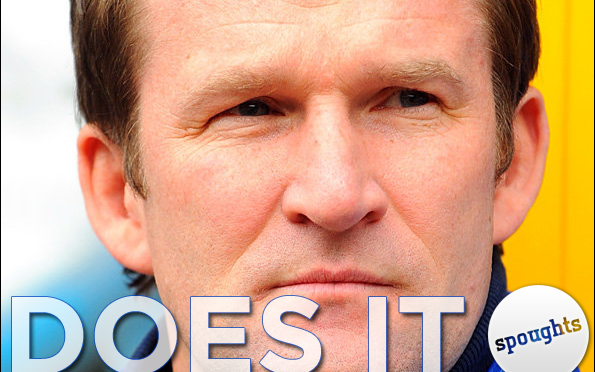 Simon Grayson, were he given investment at Leeds, would have got us promoted to the Premier League. Neil Warnock will be a miracle worker if he can get this Leeds United side up the table, funded on a shoestring at best. Grayson already proved himself a miracle worker – sacked with a team 3 points off the playoffs last season. Warnock himself could not coax anything from that side. It was dross, and yet Grayson, hampered by a chairman more tight than any, still got them going. I am not calling for Warnock’s head, nor am I saying Grayson should have stayed in charge. It made sense to take advantage of Warnock’s availability, even though it meant the loss of a young manager who I predict will go on to be a star in managerial quarters. I am simply saying that it does not matter who stands on the touchline, who coaches, who picks the team when Ken Bates is ultimately in control of the eleven players we can put on the pitch. 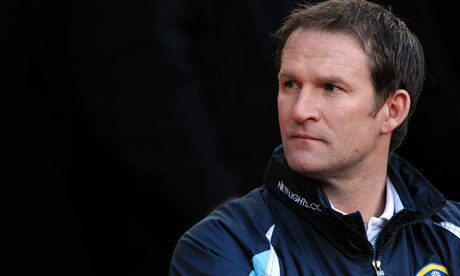 Ultimately, Warnock will struggle unless Bates departs. Grayson and Huddersfield will probably finish above us in the league unless things change. They have a chairman who supports the manager, we have an aged ogre whose presence is ruining the club. Ultimately, it wouldn’t have made a difference. Grayson’s departure still rankles to this day. I imagine if you ask Warnock his opinion of him, he’d probably consider him very highly. We’ve changed the man in the dugout, gone for experience and nous over youth and attacking flair, yet it won’t matter. I offer a single regret: that Simon Grayson had the poor luck to be manager of the club he loves whilst Ken Bates was chairman.